Prebiotics are an important element for healthy gut flora. 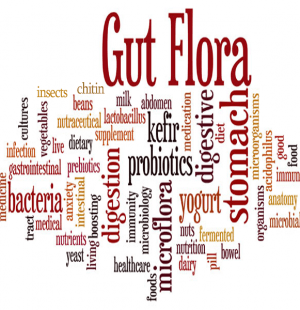 Probiotics are the beneficial bacteria in your gut. There has been a lot written about their benefits recently. Prebiotics are less discussed but are just as important. In a simplified sense, prebiotics are food for probiotics. Here are two key functions. 1. Probiotics are the good bacteria that support good health and work to reduce the number of bad bacteria. Prebiotics are the nutrients probiotics need to thrive. 2. Prebiotics are an antioxidant dietary fiber that remains undigested until it reaches your colon. It then ferments and develops fatty-acids leading to better colon health. Both are a key to good health. How Can I Add Prebiotics to My Diet? Insects, of course. The chitin, which is the exoskeleton of insects, is high in prebiotic fiber. 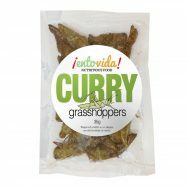 Adding insects to your diet is easy considering the number of edible insects for sale. 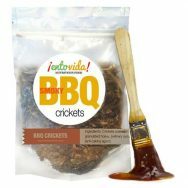 If eating insects is hard, you can always use cricket powder to make cricket flour and enjoy the benefits of chitin without the taste. Although, insects do taste great.